I read this book towards the end of my first trip to India and it was a great way of putting everything I had learned about the country and myself into perspective. The book follows, in a details and drama, the heartbreaking but uplifting story of the life of two boys living in India as they try to make a living living in the slums whilst dealing with the corruption and careless politicians and thugs under the government of Indira Gandhi. The book is set in a real time in Indian history during the riots and protest, political and economical unrest, sterilization, extreme poverty, organised begging and life in the famous Indian slums; the 1970s. 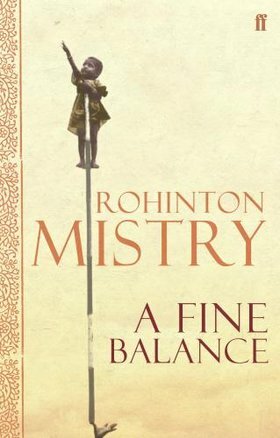 A fine Balance is for sure one of the finest pieces of literature that I have ever read... a Bold statement I am aware - similar to the books message which highlights a countries fine balance between Hope and despair. Maybe you don't now, but I have no doubt that once you have travelled in India for a short amount of time you most likely will.